The first north Wales march to raise awareness of endometriosis has taken place. More than 120 people took part in the EndoMarch at Llandudno, Conwy, which took place alongside similar events worldwide. Endometriosis is thought to affect one in 10 women and girls worldwide, but the event organisers said it continues to be shrouded in mystery and myth. It can cause pain and fertility issues and lead to depression. There is currently no cure, and according to the NHS treatments to ease symptoms include using painkillers, hormone medicines and contraceptives and surgery. 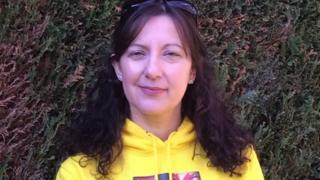 March coordinator Samantha Hickson from Gellifor, Ruthin, said she has had endometriosis "for as long as I can remember". "I struggled to get a diagnosis, access treatment or learn what it is and get accurate information," she said. "There is so much misinformation and myths out there. Unfortunately so many health professionals don't have the right information either." Samantha was asked to organise the Llandudno march by the Fair Treatment for the Women of Wales (FTWW) organisation, which offers advice, help and support in dealing with health services and accessing care. "They allowed me to educate myself, advocate for myself and access the right treatment and right surgeon. Once I had the right treatment it was life changing," Ms Hickson said. She said there had been marches for the last three years in south Wales but never one in north Wales. "So hopefully this march will raise awareness and show support for all the women and young girls in Wales who are in the same situation and have hit the same barriers." Llinos Blackwell from Rhyl said her period pain was so severe, she would faint. "From my very first period I was different to my friends," the 41-year-old said. 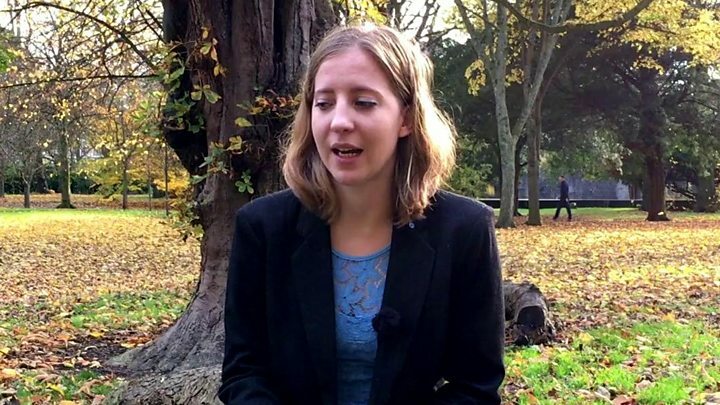 Llinos did not see a GP about her pain and chronic fatigue until she was 26, and then it took three years to be diagnosed. "It was actually the fatigue I suffered that was the worst part and still affects me now. "It just seems there's no end in sight because the waiting lists for surgery are so long. It feels there's no light at the end of the tunnel. It affects your work, relationships and friendships. "I'm never sure whether I can accept invitations and I have to schedule recovery time into my diary." Llinos had surgery in April 2016, and said it was not a cure but treatment. "I still feel the endometriosis is there and I have some symptoms, however compared to before the surgery it's much, much better. But that treatment is not available across the board." Llinos had to go to a hospital in Merseyside as there is not an endometriosis specialist in north Wales - the only three in Wales are based in the south. "Having just three specialists is woefully inadequate," she added. "We want to raise awareness and make endometriosis part of everyone's vocabulary but we also desperately want better treatment for the women of Wales and more specialists." The Welsh Government said it took women's health very seriously, and had established the Women's Health Implementation Group (WHIG). "The group's remit is to provide input and inform policy on a range of women's health issues," a spokesperson said. "The group has been asked to consider the recommendations from various task and finish groups, including those on endometriosis, and is working to establish a network of pelvic health coordinators to signpost women to the appropriate services and ensure they get the help they need as quickly as possible."